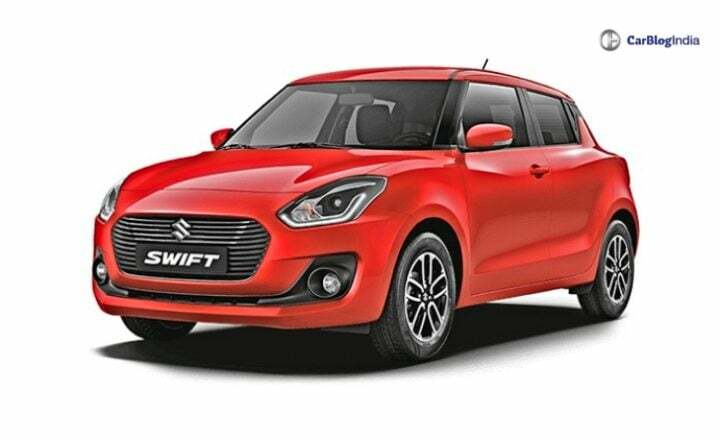 Swift is the best seller for Maruti Suzuki in November 2018! Maruti Swift has again emerged as the winner for total car sales in November. The top 6 positions are taken over by Maruti Suzuki, followed by Hyundai. Last month, it finished at the 4th rank. Maruti Suzuki is always at the top position for annual and monthly car sales. If you see, Maruti’s cars compete with themselves for the winner. Usually, Hyundai follows Maruti in the sales figures. For this month, Maruti Suzuki Swift is the winner. The hatchback has garnered over 22,191 units this month to win the first position. Last month, it made around 17,215 units and came at 4th position. One of the primary reason for this growth is because of the increasing popularity of Swift. The fun-to-drive hatchback fits perfectly as a city car as well as a highway car. It also offers plenty of features onboard at an affordable price tag. Maruti Dzire, Baleno, Alto and Vitara Brezza occupy the next 5 positions on the list. While WagonR secures the 6th position, after that it’s Hyundai’s play. I20 Elite, Creta, Grand i10 and the new Santro occupy the remaining positions. Hyundai Santro in its first month has already made it big in the market. It offers many segment first features at a competitive price. Plus it offers CNG and AMT, which make it more desirable. 2018 Maruti Suzuki Swift has gotten a whole lot better and sportier from the previous generation. It uses the new HEARTECT platform, which helps the hatchback is loosing over 100kgs in weight. It comes with a 1.2 Litre petrol engine and the same old 1.3 Litre DDiS diesel engine. The petrol engine produces 81.8 BHP of max. power and 113 Nm of peak torque. The diesel engine produces 74 BHP and 190 Nm of peak torque. For transmission purposes, Maruti offers 5-speed gearbox and 5-speed Auto Gear Shift on both the petrol and diesel engines. Features onboard include LED Projector headlamps, LED daytime running lamps, SmartPlay touchscreen infotainment system with Apple CarPlay and Android Auto support, Automatic climate control, Steering Mounted Audio Calling Controls, Remote Keyless Entry System, Adjustable driver seat and more. Safety features onboard include dual front airbags, ABS with EBD, Brake Assist, reverse parking sensors, reverse parking camera and ISOFIX mounts. The prices of Swift start off at Rs 4.99 Lakhs going up to Rs 8.76 Lakhs (ex-showroom price. The hatchback competes with the likes of Hyundai Grand i10, Ford Figo, Honda Brio and Tata Tiago.